Naan Serai at Caravan Serai! 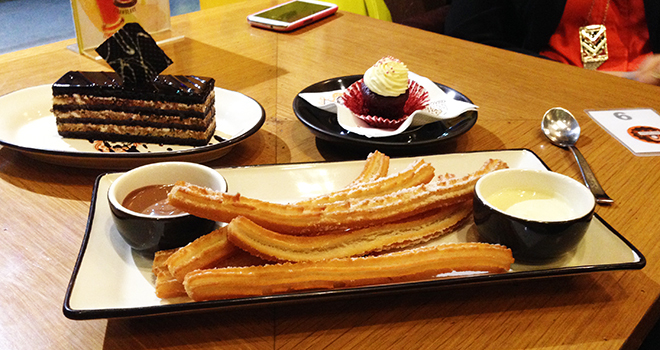 In my last blog post on Chocolateria San Churro, I shared how me and my colleagues indulged in Churros for dessert. What I also mentioned was that we had dinner a little earlier at this place called Caravan Serai. Caravan Serai is a nice place in Bandra West, Mumbai that serves Indian / Afghan / Mughlai Cuisine. What we really enjoyed at Caravan Serai was something called Jhinga Nisha. These are king / jumbo prawns marinated in creamy yogurt flavored with cheese and Indian spices. 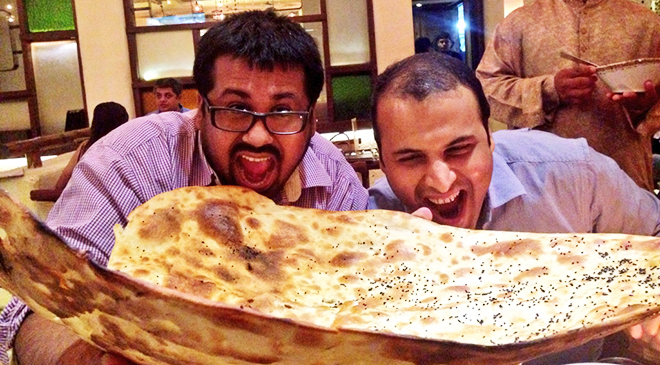 We also tried the Mutton Galouti Kebabs – but that is something I didn’t quite enjoy. For mains, we had Bhuna Gosht which hit our palette really well.